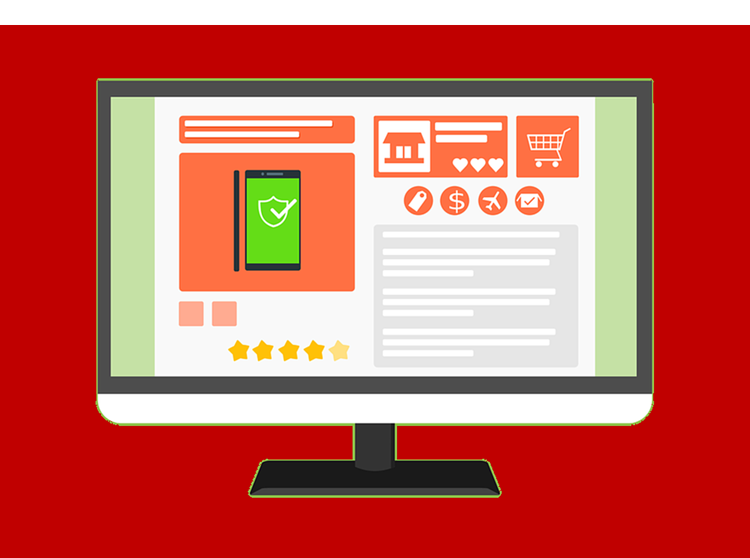 There are some factors that may modify the price of a product: quality, quantity, terms of payment, delivery time and the bargaining process between the supplier and the buyer. 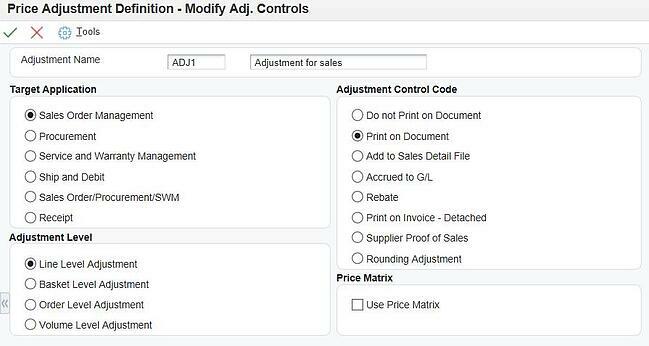 We can find a tool in JD Edwards called Advanced Pricing that it is very useful to set all the different prices that our company may have. 1. Create the Adjustment, name it and write a small description. 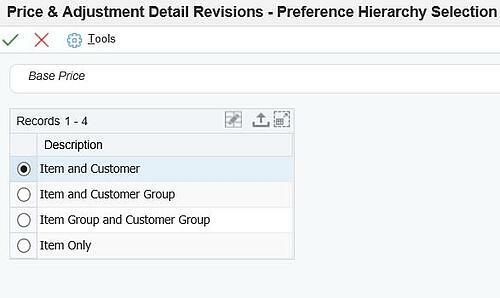 Advanced Pricing tool of JD Edwards is very useful to set all the different prices that our company may have. 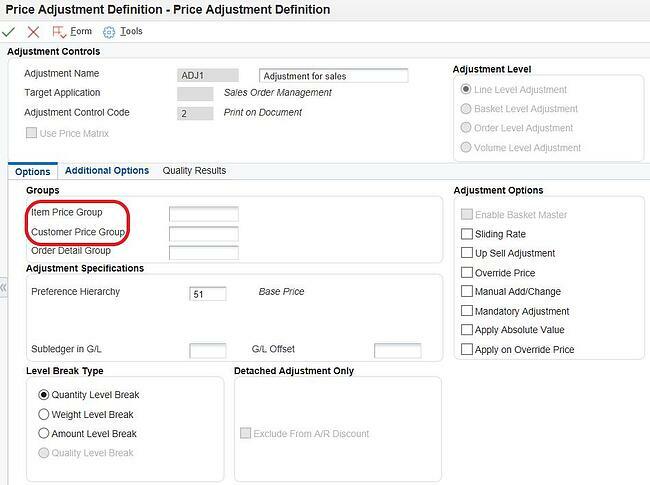 In the case that you would like to make the price adjustment for a group of items or a customer group you would have to specify it in the highlighted area. by item only, (i.e. the price is going to be used for one item and any customer). 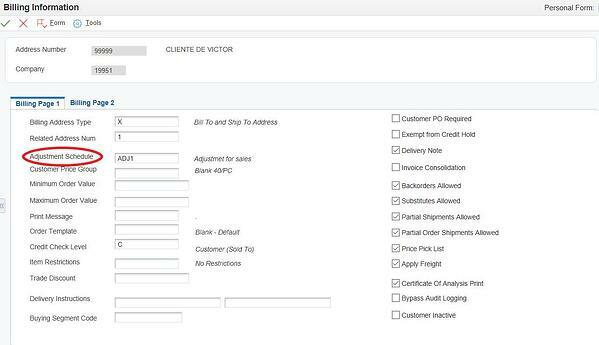 In this example we are offering a 10% discount of the base price when the customer buys 100 units of our product or more.